The move of IT into the cloud is well established and continues to grow, affecting the operations of organizations in every sector, everywhere. The majority of new IT spending is already taken up by cloud technologies and nearly half of large enterprises will have hybrid cloud deployments by the end of 2017. The benefits of the cloud are clear – easy and rapid adoption, unlimited scalability, elimination of huge upfront capital costs and operating costs matched to demand. Despite these advantages, deploying services on an organization’s own IT infrastructure remains an important route for many organizations. 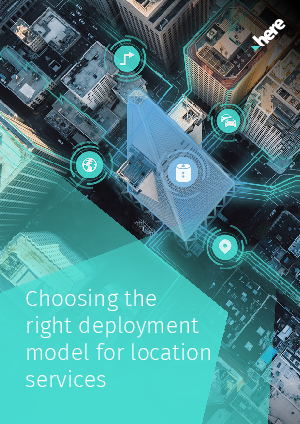 This white paper reveals how location services deployed on premises or in a hybrid cloud can address the needs of enterprises in multiple sectors, helping to improve customer experiences and protect valuable assets.